When traveling with an in-cabin dog, it’s important to consider the size of your pet. For instance, while a dog weighing 13 pounds and measuring 12 inches in height is probably okay for in-cabin travel, his friend weighing 15 pounds isn’t. That’s because a larger breed will find it difficult to move or stand in his carrier. Considering your pet’s size is essential for its own comfort, as well as a necessity for the airline. Most of American airlines require your pup to be at least eight weeks old. The right pet carrier is essential for making your furry friend’s flying experience easy and convenient. It should be of the right size to fit your Fido below the plane seat. An appropriate choice would be 16 or 19 inches in length, 12 inches wide and 10 inches high. However, international flights may ask you to use a slightly bigger pet carrier. Make sure that it has at least two outer pockets and appropriate buckles. A product with double handles is an added advantage. It will help you carry it comfortably, whether over the arm or shoulder. A carrier with double mesh panels offers adequate ventilation for your four-legged friend. Make sure that it is easy to open to let your pup poke his head out to enjoy the view. It should be made of water-resistant materials. This is important if there is an emergency. Some extra padding provides more comfort to your furry friend. Above all, the travel kennel must comply with the airline rules. Check whether your dog is comfortable with the cabin temperature. It may either feel too cold or hot on the cabin floor. You may place a small blanket or T-shirt inside to keep your pup comfortable. 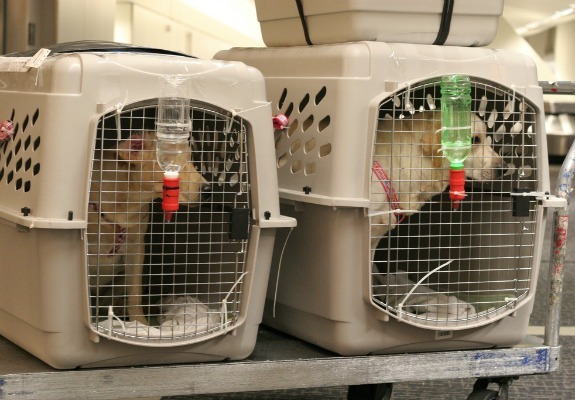 Most U.S. airlines require an assurance that an in-cabin pet is healthy and fit to travel. So, get your Fido examined by a vet. A proper health certificate will make you and your pet’s air travel convenient and hassle-free. After all, no one wants to travel with a pup with skin infection or diarrhea. An International Pet Health Certificate costs $50 to $150. The money is worth your peace of mind. Besides choosing the right pet carrier, there are other things to consider for convenient in-cabin travel. 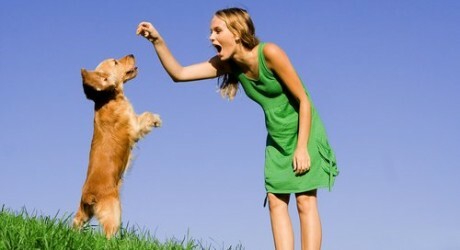 There are many trusted pet movers, who make this journey smooth for both you and your pet. It may be a wise decision to contact one of the movers, especially if you are flying with your pet for the very first time.